- Mark tells Father Michael Graham that he isn't sure about marrying Annalise and that it isn't down to simply last minute doubts. Marlene is annoying Ren and the bridesmaids by trying to take their photograph and taking ages over it. Annalise emerges, needing some help. Marlene thinks that she has plenty of time – they should have some chicken and champagne that she specially prepared for the wedding breakfast. Annalise is worried that the bridesmaids will get greasy marks all over their dresses but Ren thinks she should stop nagging – nothing is going to go wrong. She has to relax. But Annalise is far too wound up for that and leaves them to have breakfast. Mark is equally wound up but he's more worried about making the wrong decision about getting married, not how he's going to get ready on time. Rick helpfully reminds him that, this being the nineties, it's not a big deal if wants to get unmarried. Mark doesn't find it in the least reassuring or helpful. Rick suggests they have breakfast but Mark has no appetite. Instead he would rather talk insightfully and philosophically about why he and Annalise need each other – he thinks that they're missing something in their relationship and they need each other as a patch to cover it over. Rick suggests he stop thinking and eat. Hannah is home and finds Helen getting ready for the wedding. But Hannah wants to talk about the trip – she had fun riding all the horses there and she found that they were different from town horses. Hannah wants to go back for a holiday with everyone, including Deb and wonders when she'll be back. Phil isn't sure – Deb likes it with Rosemary. Hannah is worried she'll want to stay there forever but Phil assures her she'll be home. Bianca remarks that Sam looks like ‘Death on a Stick' and he admits that the holiday was pretty eventful. Bianca tells him that Marlene found her here and asked her to stay with her until she found her own place. Sam thinks it's the best thing. He's preoccupied and Bianca thinks maybe he shouldn't go to the wedding, but Sam bites her head off, saying his mood has nothing to do with Annalise. Helen is over and Annalise is still nervous. Elliot comes in with some good news – a review of her book from a prestigious London critic and it's positive! Helen sees it as a good omen for the day. 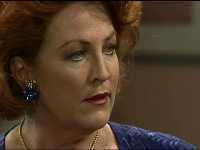 But then Rick comes in and tells them that Dave has got stuck in Alice Springs and won't be able to give her away. Annalise takes this as a sign to chuck in the towel but Elliot gets her to calm down. Then she has a brainwave – could Elliot give her away? He's honoured. The bridesmaids gather round her and toast her with champagne. The Kennedys are talking about the kids' beach trip. Karl thinks they wouldn't have had so many problems if they had planned it better. Libby disagrees. Mal sarcastically says it would've all been different if Karl was in charge and Karl thinks that he would have organised things better. The squabbling has to come to a stop as it's Mal's first day working at the surgery. Mal is dismayed to hear this but can't argue his way out of it. Danni and Brett rib Cheryl for not being there to welcome them home from their disaster of a beach trip. Brett notices her overnight bags and when Lou walks in it's clear that not is all well between him and Cheryl. When he mentions the wedding Cheryl says she's going and he can do what he wants – as long as no one makes the mistake of thinking that they are there together. Mal is bored out of his mind and manages to lean on the emergency buzzer which leads to Karl coming out of his room to demand what's going on. Fed up with his father telling him off (and in front of a waiting room full of patients) Mal tells him he resigns. Karl tells him to sit back down. Mal asks him if he's going to make him. KARL: You think I can't? MAL: What you going to do? Kill me, like you did that guy back home? MAL: Yeah, that's right, I know about it. So much for the great ‘Dr Perfect'. Run out of town for killing a patient. Mal walks out, leaving a stunned Karl standing speechless in front of his equally stunned patients. As people arrive Brett and Danni talk about things at home, with their mother sitting behind them wearing a monstrously huge black hat that's about three times larger than her normal hairstyle. Danni knew she was right about Lou having an affair – Brett owes her big bucks. Cheryl chooses this time to remind them not to whisper – this is a church after all. Meanwhile Hannah is upset that Debbie didn't tell her about staying in New York longer – she misses her. As Mark and Rick enter the organist starts playing. Elliot looks out for the car but there's no sign of it yet. Annalise appears in her full wedding outfit and Elliot hasn't the words to say how she looks…magnificent! Annalise admits that she's still got doubts, more than nerves and she has to talk to him about it. She has an awful feeling it's all wrong – a feeling she's had for a while. Annalise admits that all her stressing about the dresses etc was to try to avoid thinking about her doubts. Elliot asks if she can be more specific and Annalise says that Mark's taking the religious side of things very seriously. Elliot points out that religion is a serious thing. But Annalise thinks he's changed and she doesn't like this new part to him. Elliot says there's only one thing to do: call off the wedding. But Annalise can't do that: it's too late…and maybe it's only nerves after all! But Elliot points out that it's not too late until ‘I do'. A horn signals the wedding car's arrival – Annalise gets up and Elliot follows her. Annalise and Elliot get out of the car to be met by the bridesmaids. Sam runs up to them, pulling on his jacket, and looks at Annalise, saying “Wow”. Annalise thought she was the one to make the big entrance – he's late. Sam wishes her “Good Luck” and kisses her before dashing off. Annalise, a little taken aback, takes Elliot's arm and they walk into the church. The wedding march is played: Mark and Rick stand up and walk to the alter to await Annalise. The congregation stands and looks to the bride as she walks down the aisle. Mark stares to the crucifix on the wall, thinking hard. Sam is also wrestling with his feelings. Mark looks away, his face deadly serious. He takes one last look at the crucifix, turns, and begins walking up the aisle towards his bride. Annalise and Elliot stop; Annalise looks confused. MARK: I can't do this. The wedding's gotta stop. I can't marry you! Sam is in a rage – he can't believe that Mark would humiliate Annalise in front of everyone! Bianca wants him to calm down. She thought that Annalise not marrying Mark would've been good news for Sam but it's not – he can't do anything about it. She won't want to know him! He tells her about Squirrel saying he got her pregnant. Bianca can't believe it. Sam says he didn't even sleep with her but who's going to believe him? Lou comes in, followed by the Starks. Cheryl tells Lou to tell Danni and Brett about the other woman. She can't believe she ignored what people were telling her – she actually defended him! Lou tells her that she's not his girlfriend, that Cheryl's got it all wrong. But Cheryl is convinced and she knows all about the money and him kissing her. Lou wants to explain. But Cheryl's too hurt to hear anything he has to say. LOU: You accuse me of having an affair; I have every right to defend myself. CHERYL: I *saw* you! I saw how she looks at you! CHERYL: (interjects) Please give me credit. Don't make it any worse. LOU: The girl you saw is my daughter. With everyone gone Mark talks to Annalise. He tells her that it wasn't that he couldn't marry her, it's that he couldn't marry anyone. He's been questioning things – life, himself, everything…and it only came together today. He tells her about looking at the crucifix – he felt he knew himself for the first time. He knew what he had to do with the rest of his life. ANNALISE: Mark, what on earth are you talking about? MARK: I'm sorry I had to do this to you, Annalise. Maybe in time you'll learn to forgive me. But the truth of the matter is I can't marry anyone. (Deep breath) I've decided to become a priest.